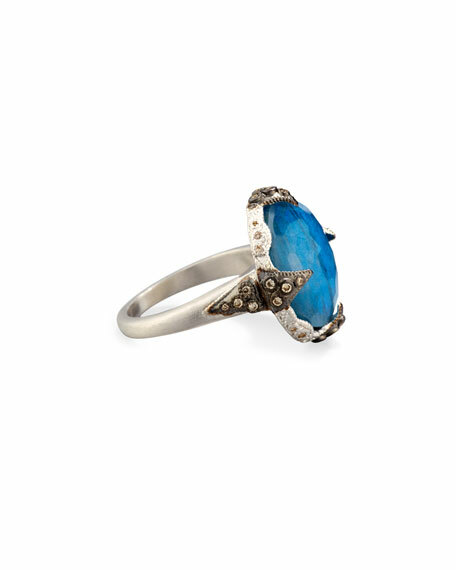 Armenta ring from the New World Collection. Sterling silver band with blackened Crivelli cross prongs. Faceted, round milky blue quartz, labradorite, and quartz triplet, 16mm (0.7"). Bezel-set champagne diamonds trim setting. 0.20 total diamond carat weight. For in-store inquiries, use sku #2096498.